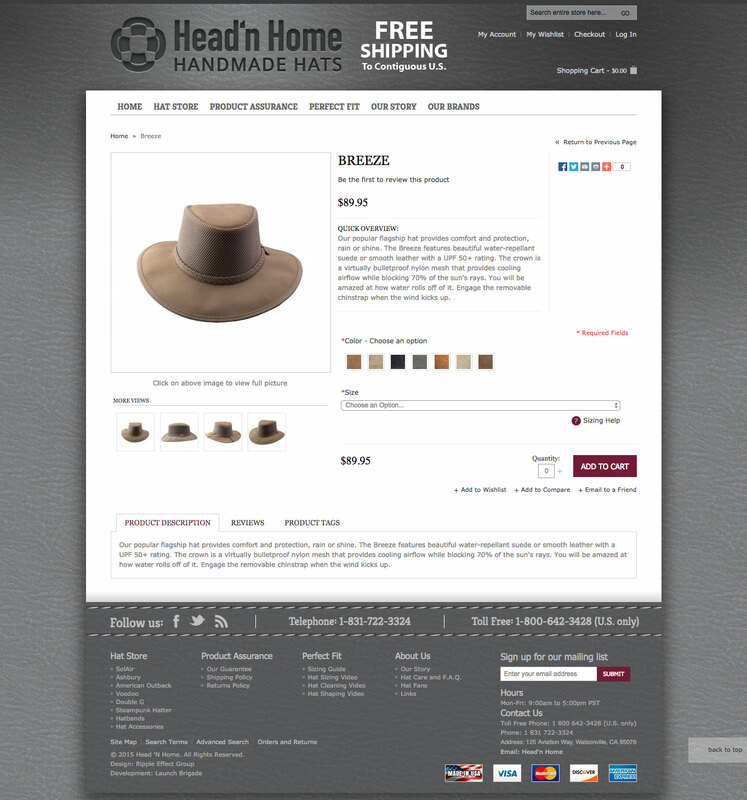 Our relationship with the wonderful people down at Head’n Home hats started off with a research project. Rather than diving in head first, we wanted to make sure we could deliver exactly what our client needed. Working together closely, an exact list of requirements was formed. With this list in hand, we researched the best fit off-the-shelf eCommerce solution. Magento far and above exceeded the capability, customizability and community of the competing eCommerce platforms. Upon reporting back to the client, we proposed a bid to build out their store. 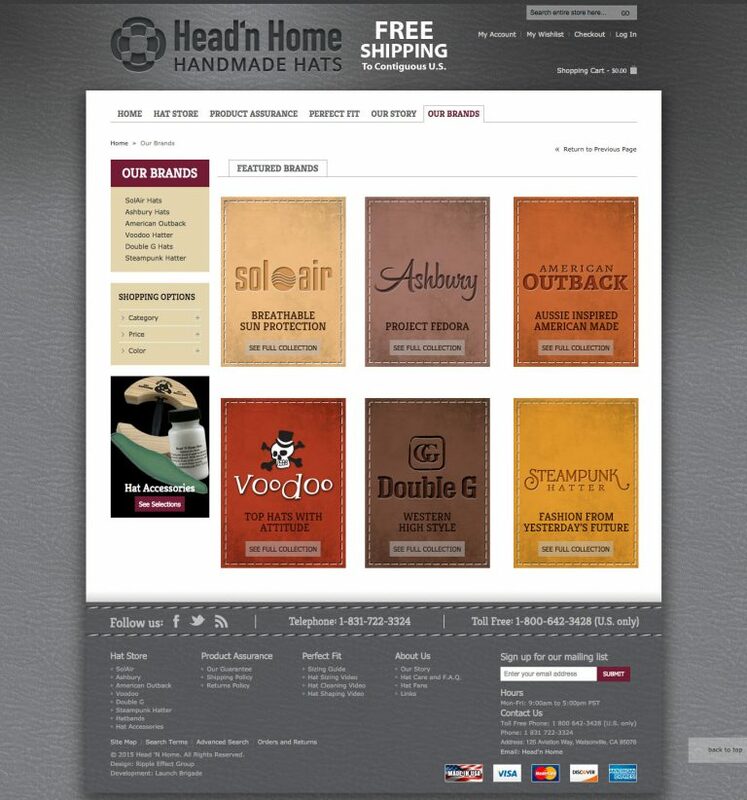 Our design team chose a premium theme as a starting point which provided a sleek user interface right off the bat. 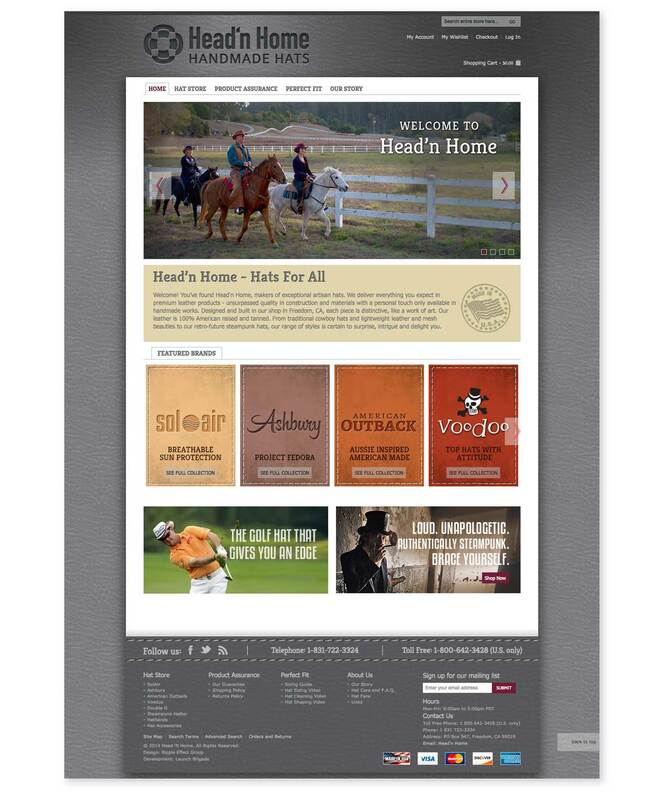 Also working with the client to create new branding, our design team customized seamless print and web integration. Our development team researched the optimal method of setting up products with multiple colors and sizes and leveraged a third party tool to import the 1000+ products. The end product speaks for itself. On to phase two! 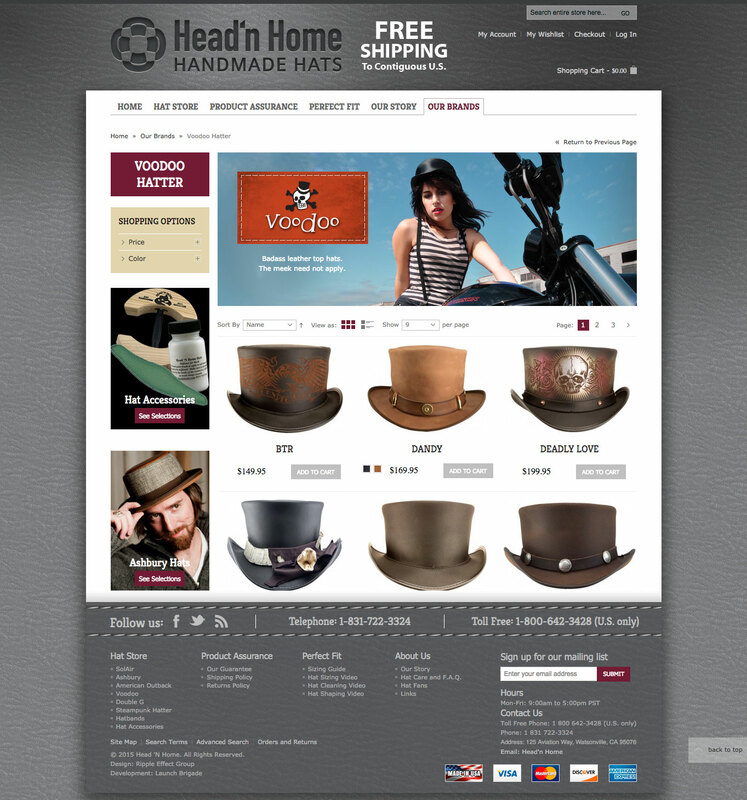 We put a personalized touch on each website we create, find out how we can do the same for you!